MOTOGP TEAM EXPERIENCE: This sets you up as a guest of one of our sponsored MotoGP teams for a day or the weekend, with full weekend paddock access, pit visits, rider meetings, and more! This is the best experience Silverstone has to offer. The Pole Position Club: Similar to the MotoGP team experience but with our Moto2 and 3 sponsored teams for the weekend with full weekend paddock access, pit visits, rider meetings, and more! VIP Village: The best catering, features paddock tours, pit lane walks and more. 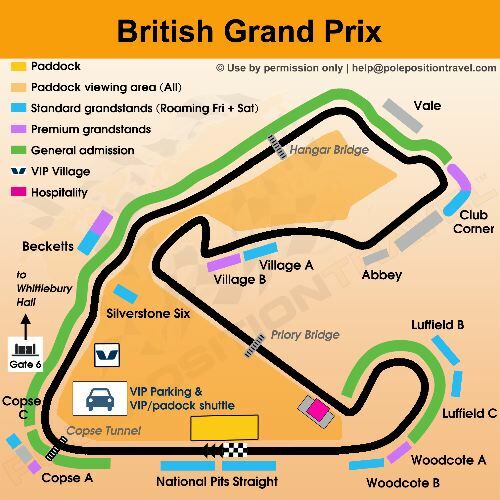 This is the most relaxing and top VIP at Silverstone, and we make it better with our own private expert guide inside the VIP Village to help you maximise your weekend. Silverstone Brooklands Hospitality. For the true aficionado -- this is focused on the top track-side experience with great views, catering, bar and balcony, CCTV and our own expert guides. You will get the opportunity to visit the Paddock and perhaps a Pit thanks to our sponsorships.